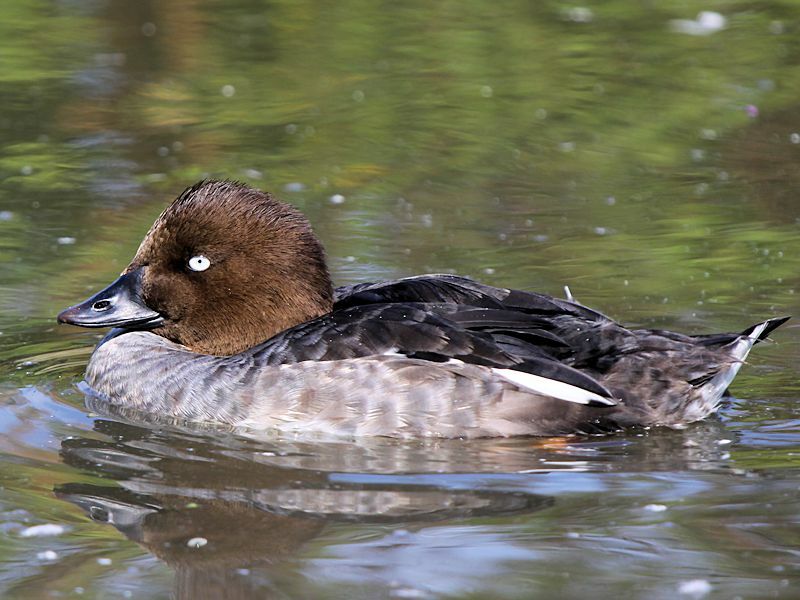 Scandinavia, Russia, British Isles, Germany, Switzerland, Poland, the Balkan States, west to Kamchatka. 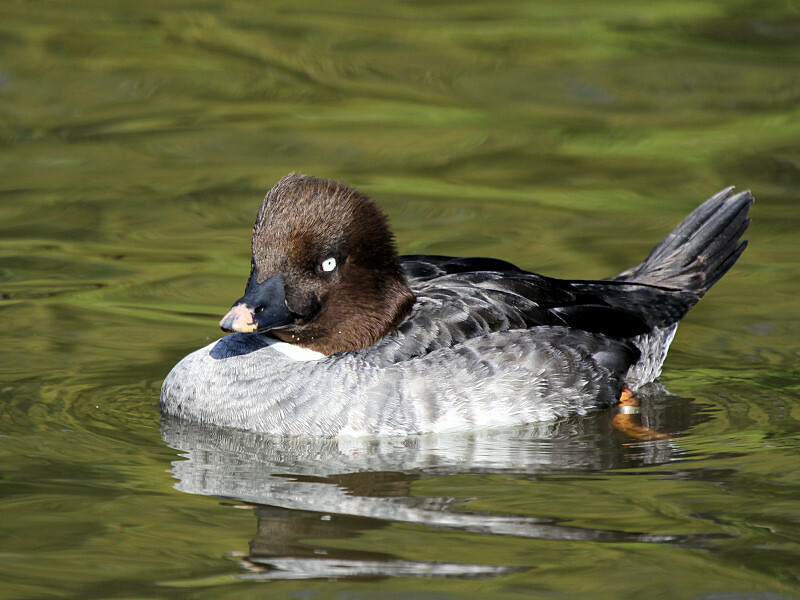 Also Newfoundland and Labrador east to British Columbia and Alaska. 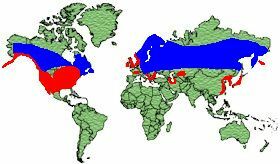 Winters in Southern Baltic, Black and Caspian Sea, Asia Monor, Iran, North India and Pakistan across to Bhurms, China, Korea, Taiwan and Japan. 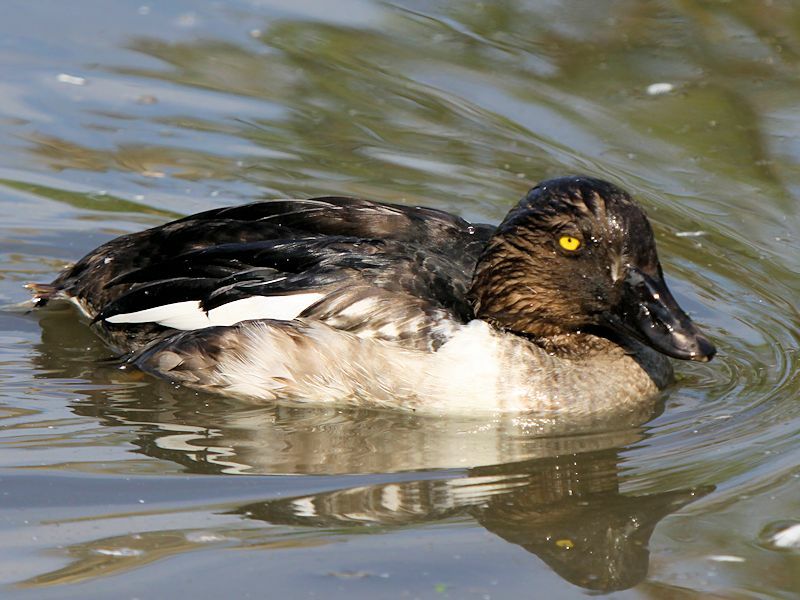 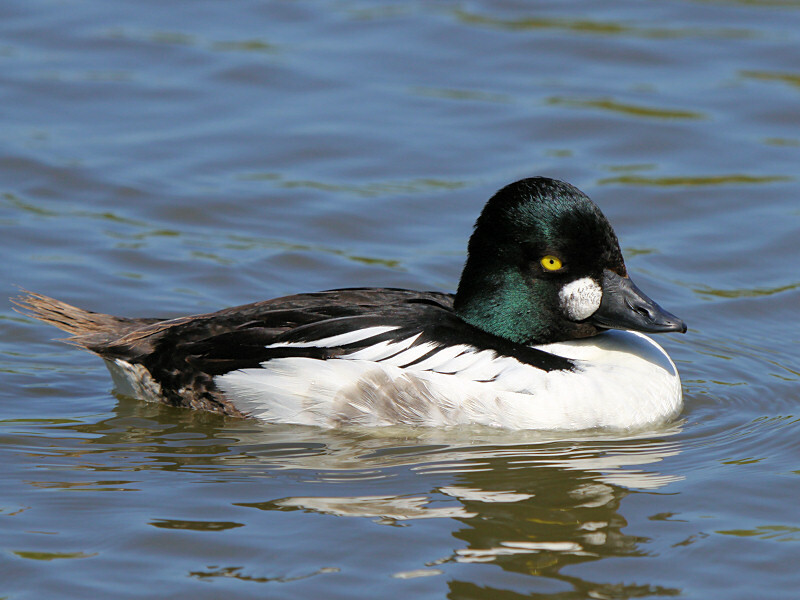 The male has a Green/Black head with a round White patch on the cheek in front of a Deep 'Golden' Yellow eye and a Black bill. 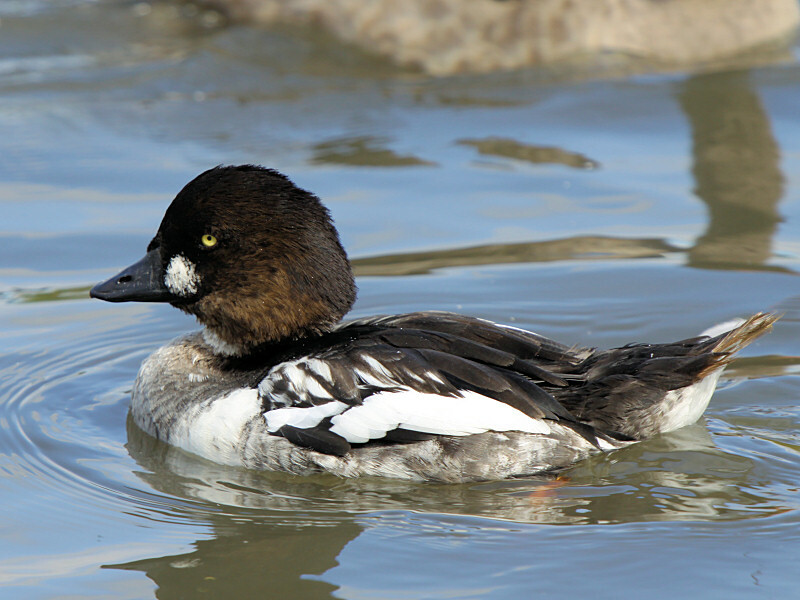 The neck, breast, belly and flanks are White. 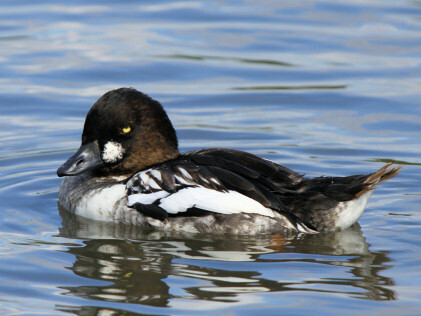 The tail and back are Black with White scapulars. 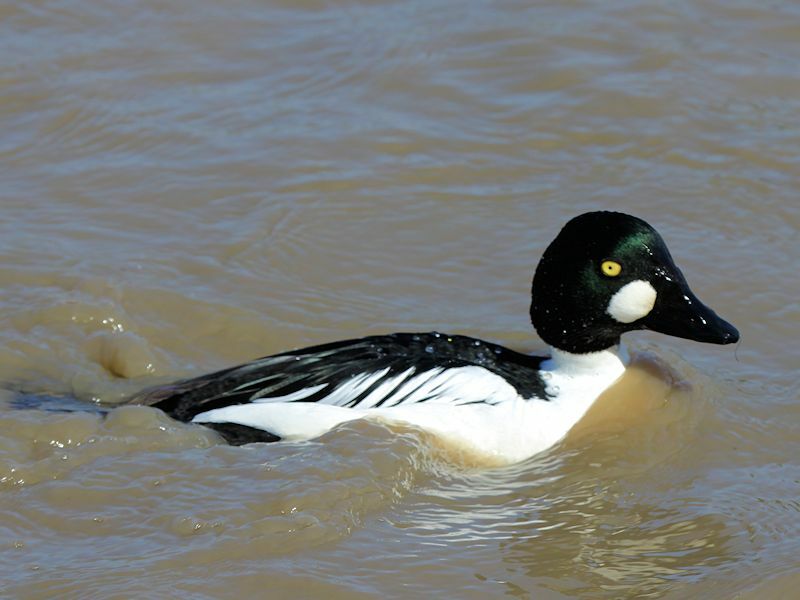 The legs and feet are Orange/Yellow. 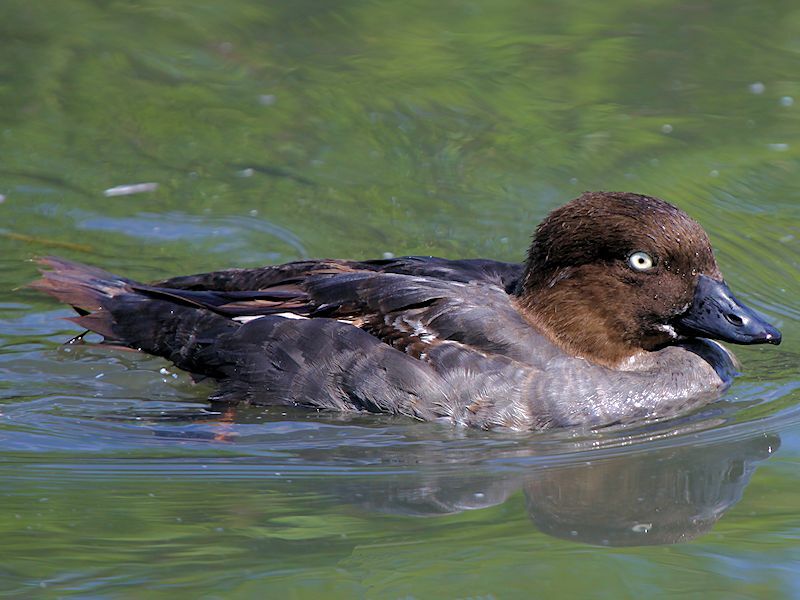 The female has a Dark Brown head and neck, Black bill, Brown Grey plumage with Whitish breast and underparts. 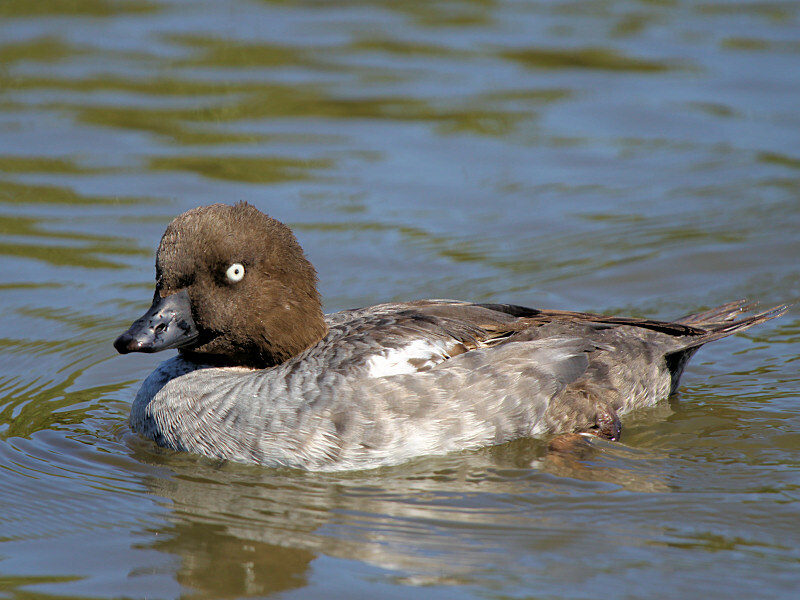 The eyes are Pale Yellow to Whitish. 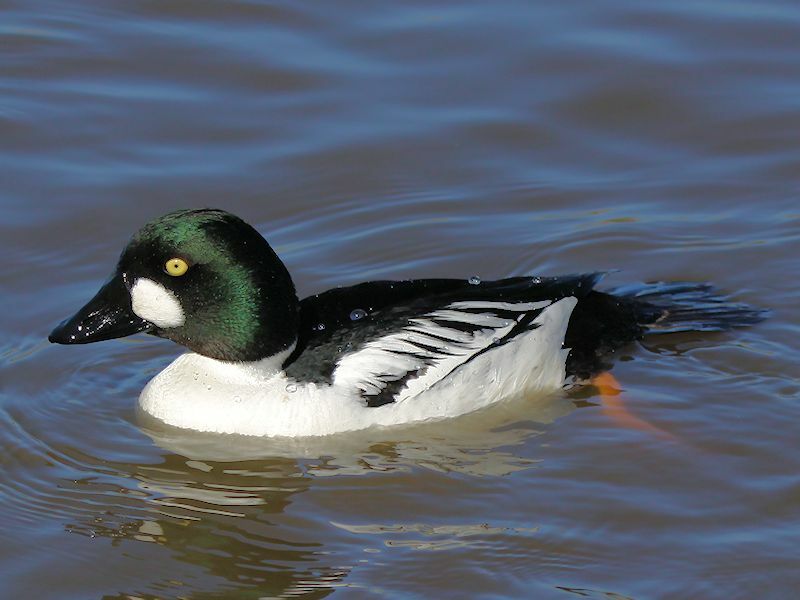 Lakes, Rivers and Coastal Waters. 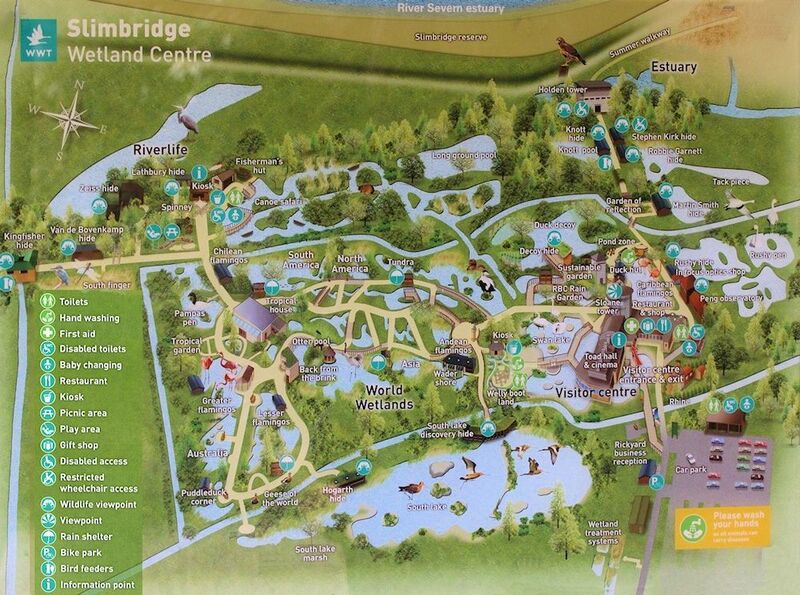 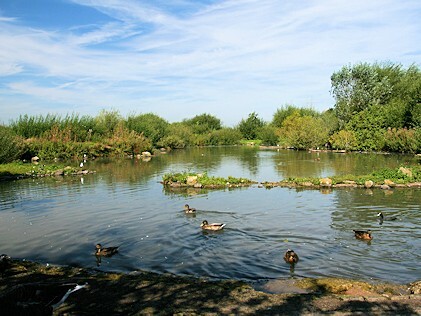 Aquatic Plants and Insects, Fish, Crustaceans, Molluscs, Shrimps and Crabs. 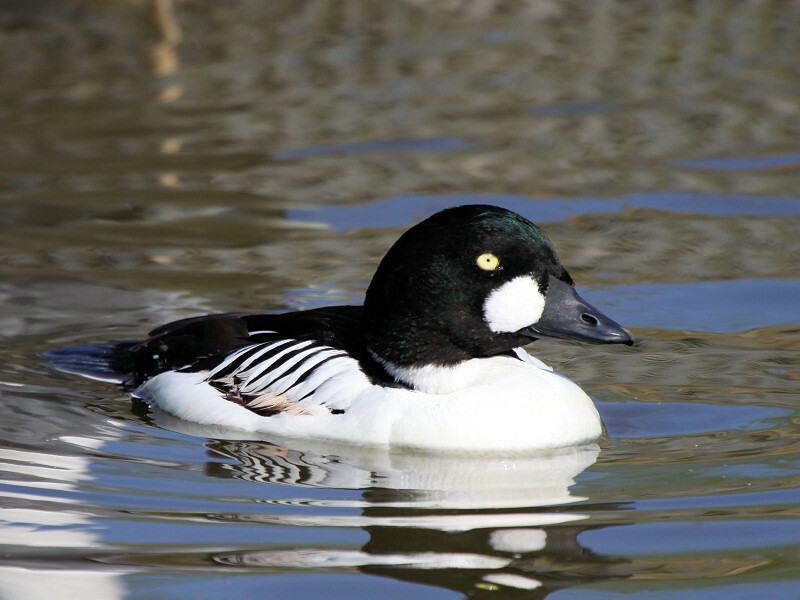 The Goldeneye nests in tree hollows and will also use nestboxes. 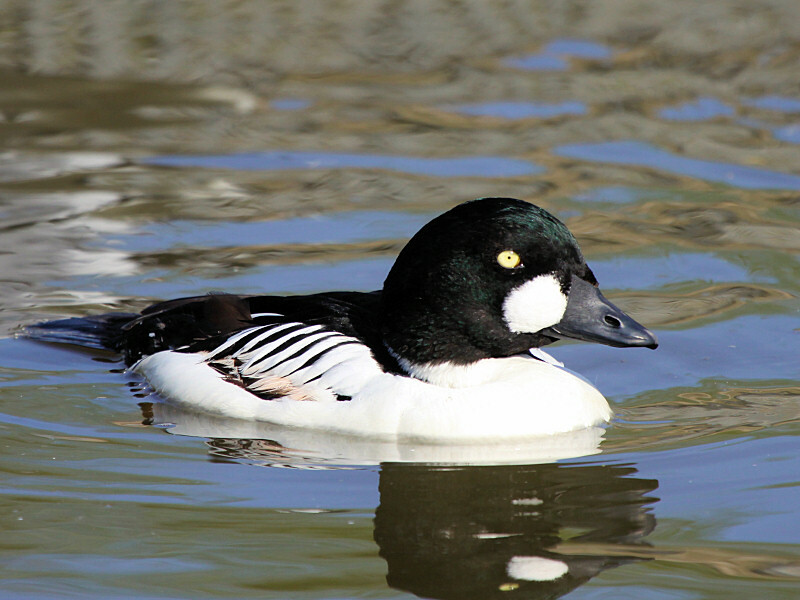 The Goldeneye is a seaduck from the Northern hemisphere. 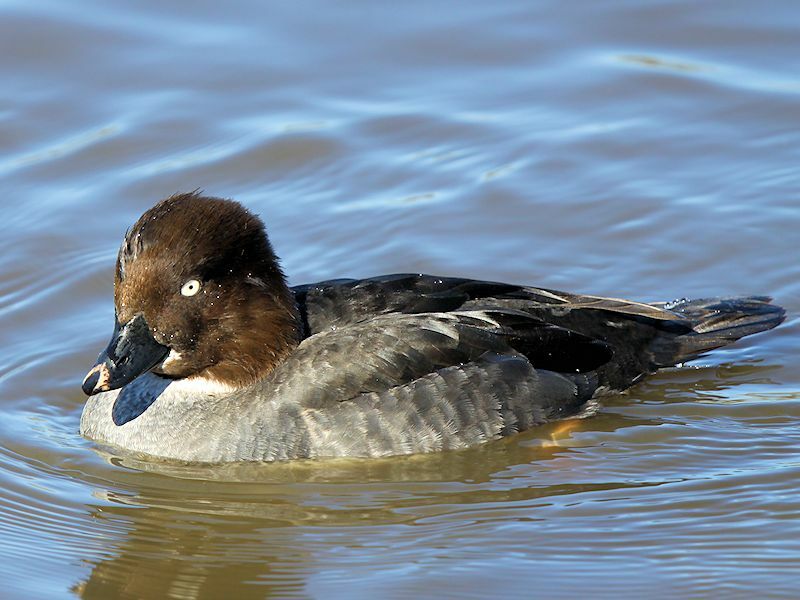 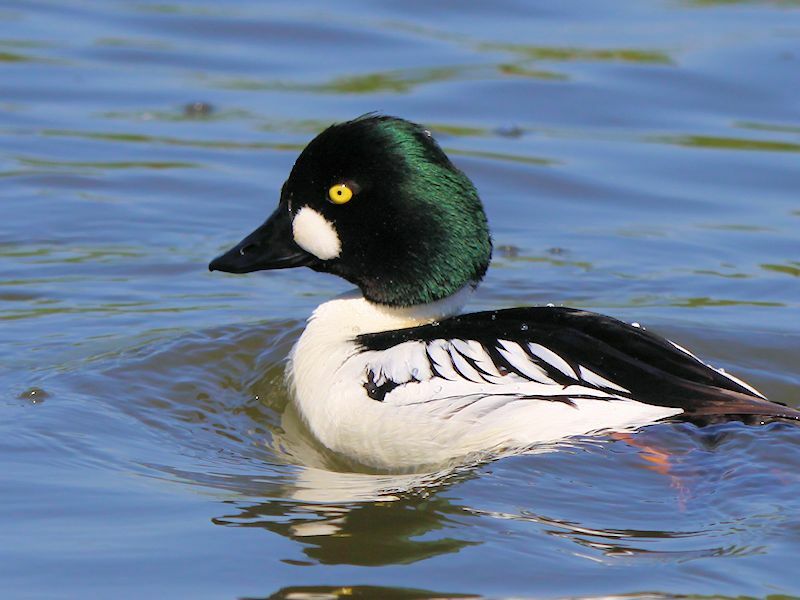 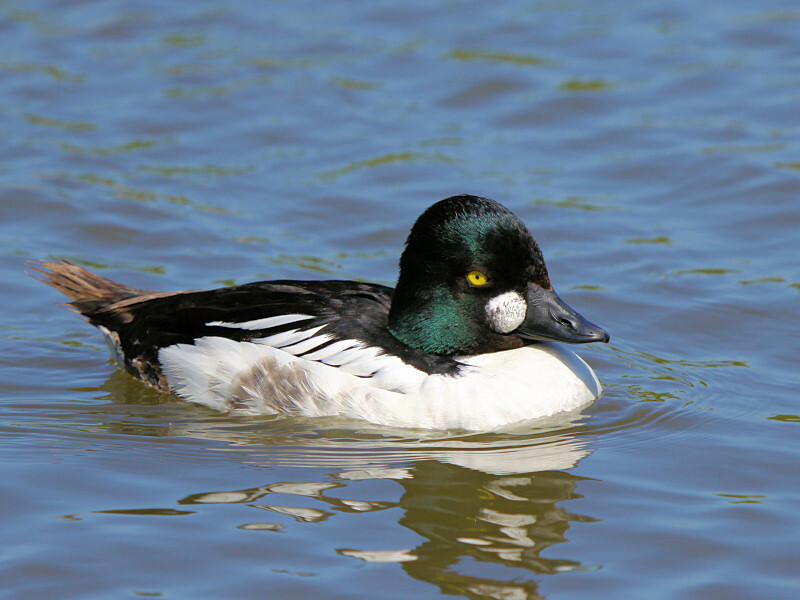 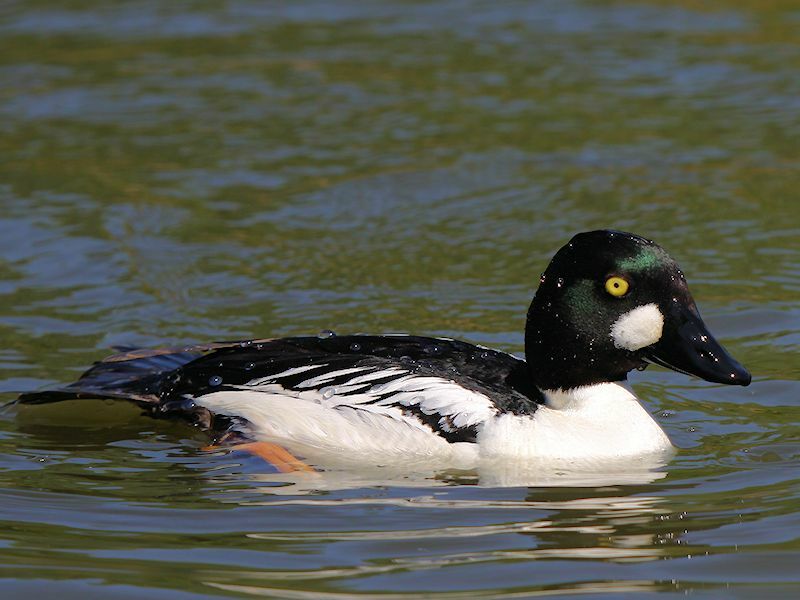 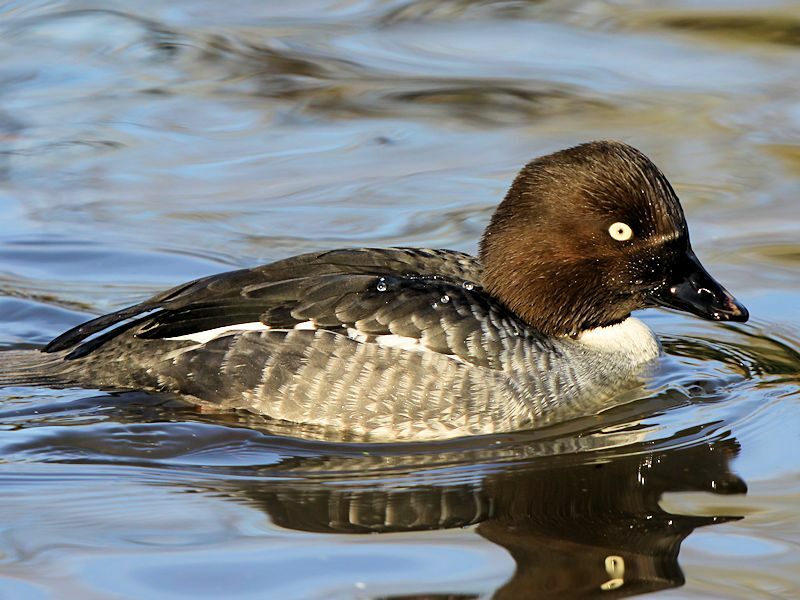 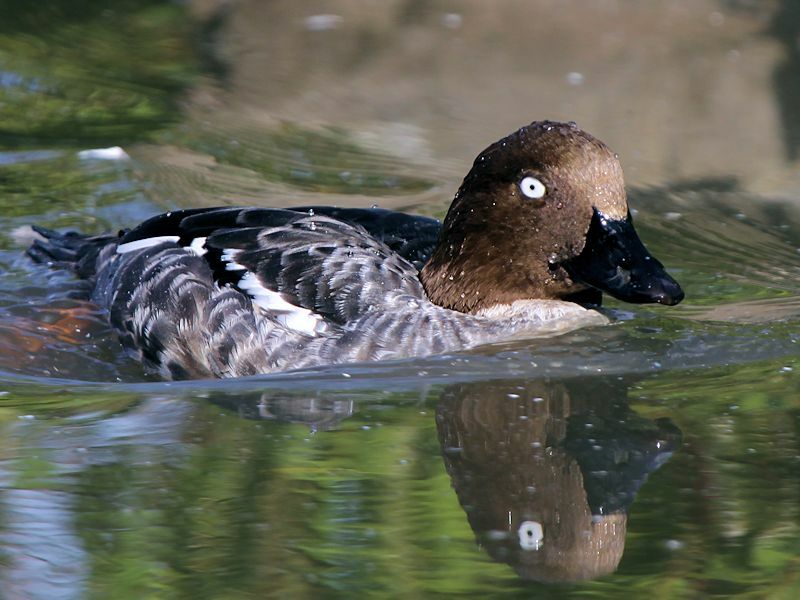 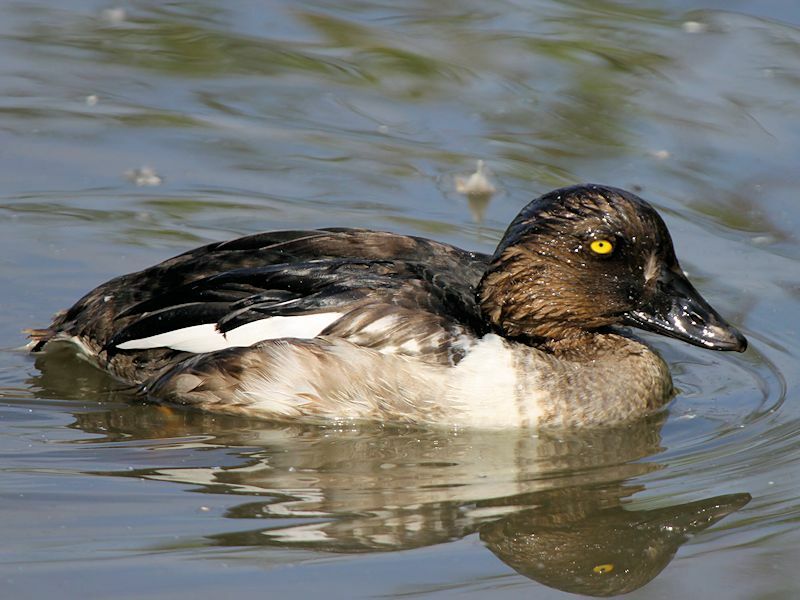 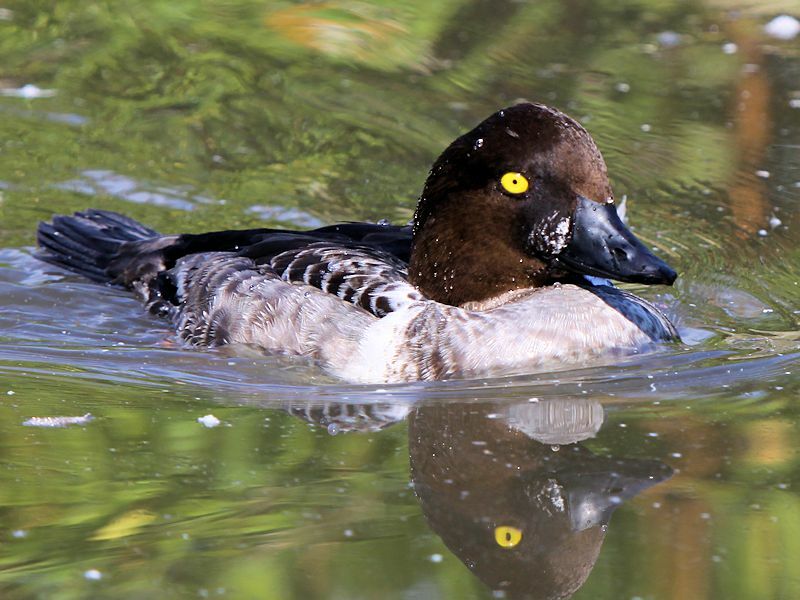 It belongs to the Bucephala genus of which there are three species, The Common Goldeneye, the Barrow's Goldeneye and the Bufflehead. 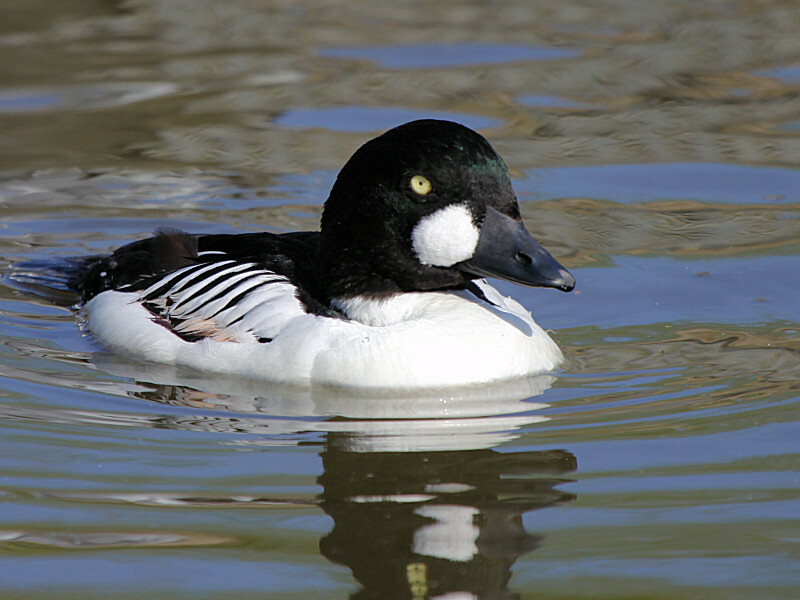 The Goldeneye is also called the 'Whistler' which comes from the noise in makes during flight.